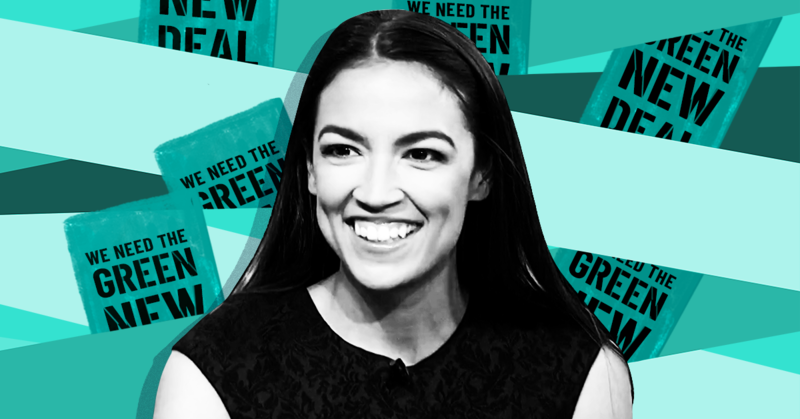 Just weeks after Rep. Alexandria Ocasio-Cortez (D-NY) was sworn into office, some in the conservative media world are already likening her to some of history’s worst mass-murdering dictators to criticize her signature policy proposal, the Green New Deal. Ocasio-Cortez and Sen. Ed Markey (D-MA) unveiled a Green New Deal resolution  on February 7 that lays out an ambitious goal of addressing the climate crisis and economic inequality. Right-wing media figures immediately  misled  their audiences on the aims of the resolution and began to issue ominous warnings  about the effort. But some took their warnings to a greater extreme by likening Ocasio-Cortez and other Democrats who back the Green New Deal to murderous tyrants such as Adolf Hitler, Josef Stalin, and Mao Zedong. Bill Bennett, a Fox News contributor and former Reagan administration secretary of education, criticized Ocasio-Cortez’s policy resolution on February 6, saying, “Look at the fine print. Look at what socialism has done. Socialism is as socialism has done. … Look at the real masters of socialism: Mao, Stalin -- 30, 40 million dead.” He further warned that “there should be no truck at all with this idea of socialism” and declared that young Americans who are sympathetic to socialism are ignorant. DENNIS PRAGER (HOST): The vast majority of torture and mayhem of the 20th century was done in the name of equality. It started in the French Revolution, which immediately descended into slaughtering human beings. It is a very, very scary vision. OK, just know that. It sounds great. That's why it's so dangerous. Racism doesn't sound great, for good reason. It's disgusting. The pursuit of equality will lead to bloodshed, loss of liberty, loss of human rights, and the Green New Deal is an example. The death that will ensue in the United States of America, the mayhem, the suffering, if the government takes over all health -- the problem is these people need a cause. That's what it is. There is a soullessness to the Elizabeth Warrens of the world. They need meaning. They need a crusade. They can't leave well enough alone. That's a big part of leftism. This country is too free, too kind, too affluent. They need to screw it up. If they screw it up, they have purpose. Liberals are not leftists, but liberals are naive and weak, because they don't confront the evil that leftism will bring about. That they mean well is of such little consequence -- do you know how much evil has been done by people who think they're good? Nearly all of it. OK? Just want you to know. San Diego radio host Carl DeMaio said , “The Democrat Party is more and more like the Nazi Party of Germany every single day,” citing in part Ocasio-Cortez’s alleged plan for the “takeover of private sector industries by the government” -- an apparent right-wing description of the Green New Deal. The absurd comparisons of Ocasio-Cortez to dictators are nothing new for the right; for example, conservatives also compared former President Barack Obama to Hitler  and his policies to those of Nazi Germany countless  times . And given the conservative media  obsession  with Ocasio-Cortez, the attacks are likely to continue throughout her career in elected office -- which has barely  begun.